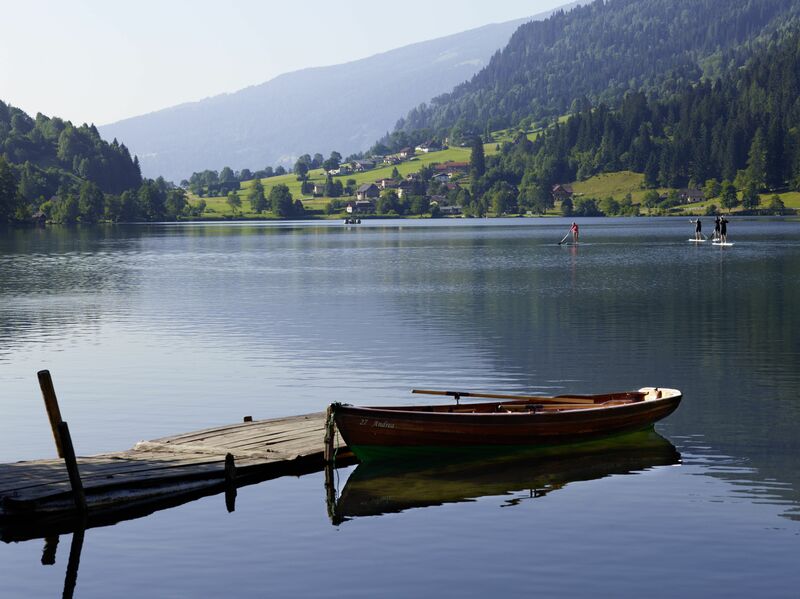 From June to September all guests of the Trattlers Hof-Chalets can benefit from exclusive access to Lake Millstätter See: sunbathing, swimming and simply relaxing in an area of approximately 10,000 m² – just 15 minutes’ drive from the hotel! In addition to the fun in the water, the Parkbad offers you also gastronomy, bathroom facilities and lockboxes for your articles of value. You can have FUN & ACTION while driving a boat, Stand up paddeling or a sailing- or surfing lesson. 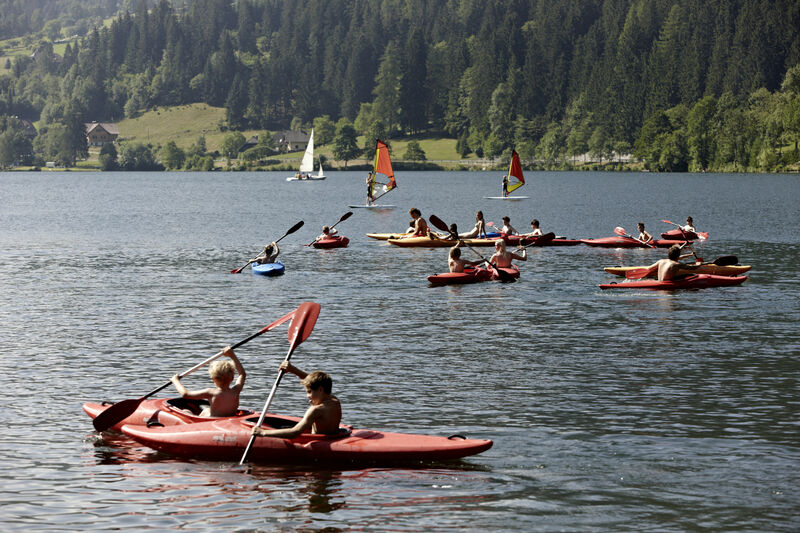 TIPP: And if you want to make active use of the lake, you will get your money’s worth in Feld am See, at the Krainer sports school: sailing, surfing, kayaking, stand up paddle boarding and much more – some of it free of charge or at a reduced price thanks to the Bad Kleinkirchheim Card. Of course, a true well-being programme also ought to include professional relaxation and an expert cosmetics programme.